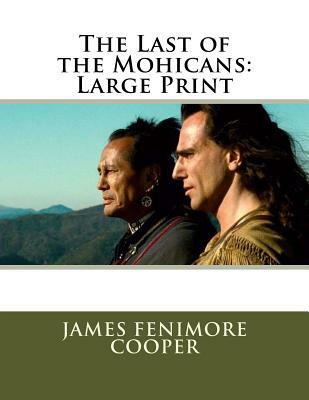 The Last of the Mohicans: Large Print by James Fenimore Cooper The Last of the Mohicans is a historical novel by James Fenimore Cooper, first published in January 1826. It was one of the most popular English-language novels of its time. Its narrative flaws were criticized from the start, and its length and elaborately formal prose style have reduced its appeal to later readers. Regardless, The Last of the Mohicans is widely read in American literature courses. This second book of the Leatherstocking Tales pentalogy is the best known. The Pathfinder, written 14 years later in 1840, is its sequel. Cooper named a principal character Uncas after the most famous of the Mohicans. The real Mohicans lived in the colony of Connecticut in the mid-seventeenth century, and not in the New York frontier a century later. Uncas was a Mohegan, not a Mohican, and Cooper's usage has helped to confuse the names of two tribes to the present day. When John Uncas, his last surviving male descendant died in 1842, the Newark Daily Advertiser wrote "Last of the Mohegans Gone" lamenting the extinction of the tribe. The writer was not aware that Mohegans still existed then and to the present day. The story takes place in 1757 during the Seven Years' War (known in America as the French and Indian War), when France and the United Kingdom battled for control of the American and Canadian colonies. During this war, the French often allied themselves with Native American tribes in order to gain an advantage over the British, with unpredictable and often tragic results.